Animal Planet is an American basic cable and satellite television channel owned by Discovery Communications. Originally focused on more educationally-based television shows, the network has featured more reality programming since the late 2000s. It is available throughout the United States, as well as in over 70 countries around the world. Country-specific versions of the channel have been created in Canada, India, Japan, Taiwan and other countries. As of February 2015, approximately 94,288,000 American households (81% of households with television) receive Animal Planet. Animal Planet was launched on October 1, 1996; it was created by Discovery Communications in cooperation with the British Broadcasting Corporation. 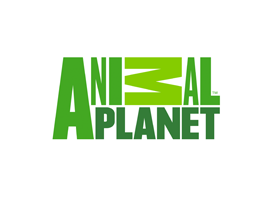 On January 1, 1997, Animal Planet´s distribution grew as a result of Advance Entertainment Corporation selling the satellite transponder slot belonging to the WWOR EMI Service (a national superstation feed of Secaucus, New Jersey/New York City´s WWOR-TV, that was implemented following the 1989 passage of the Syndication Exclusivity Rights Rule by the Federal Communications Commission) to Discovery Communications, replacing the feed with Animal Planet outright. In late 2005, as part of a multimillion-dollar expansion, the National Aquarium in Baltimore opened an exhibit called "Animal Planet Australia: Wild Extreme". Animal Planet and the National Aquarium in Baltimore announced a multi-year partnership the year prior, which produced an original orientation film that gives Aquarium visitors background on the Australian area which inspired the new exhibit and a dedicated area inside the expansion where visitors can learn about Animal Planet´s conservation efforts and other programming. The partnership also allowed the possibility of future productions of television programs about the National Aquarium in Baltimore´s research and exhibits. In 2006, BBC Worldwide sold its 20% interest in the flagship Animal Planet U.S. network back to Discovery Communications. The BBC maintained its 50% ownership in Animal Planet´s European, Asian and Latin American channels, as well as a minority interest in Animal Planet Japan and Animal Planet Canada until November 15, 2010, when BBC Worldwide sold 50% interest in Animal Planet and Liv to Discovery Communications for $156 million. Animal Planet is additionally an associate member of the Caribbean Cable Cooperative. Animal Planet is also well known for its annual stunt program, the Puppy Bowl, a yearly special shown during the afternoon leading up to the NFL´s Super Bowl, primarily consisting of puppies at play; the original commentator was the sports broadcaster Harry Kalas. The 1080i high definition simulcast of Animal Planet launched on September 1, 2007; it is available on all major cable and satellite providers. It was also launched on February 3, 2009 in Norway for Canal Digital. Norway is the first country outside the U.S. to receive a high definition feed of Animal Planet.